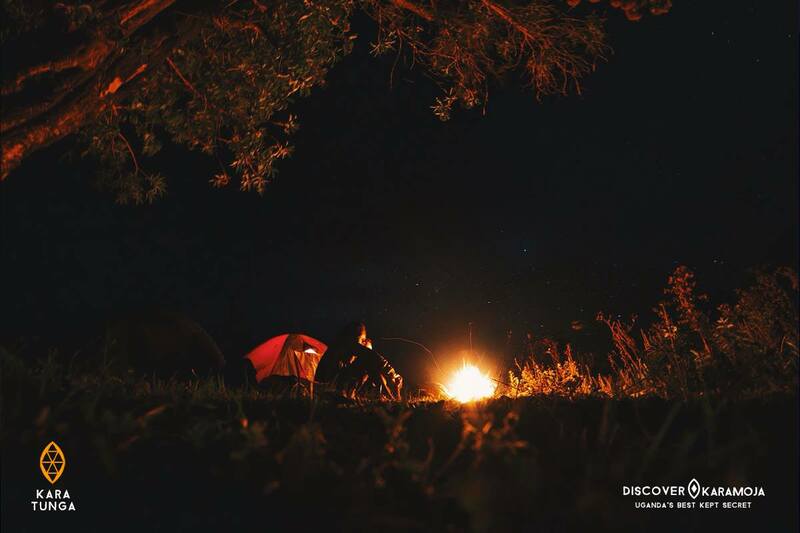 Outdoor adventure with authentic cultural encounters. Including accommodation, bush camping, meals and activities. Listed price excludes transportation. 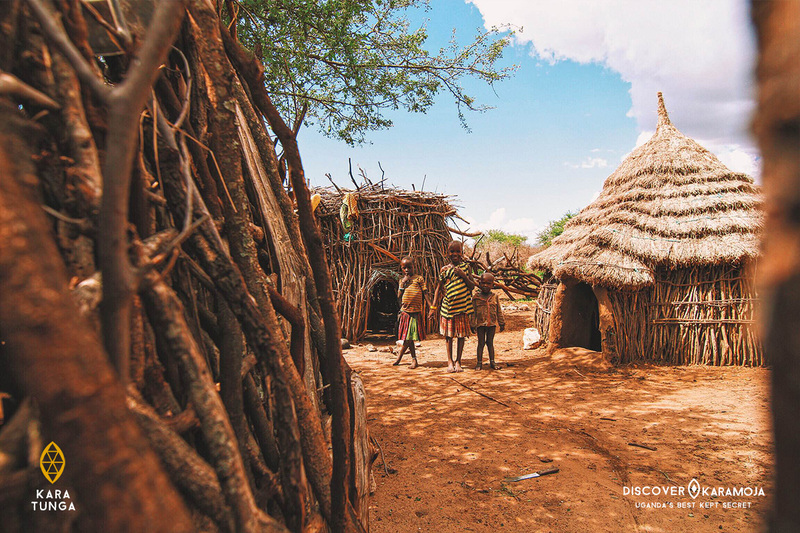 Discover Karamoja in three days packed with Outdoor Adventure and Authentic Cultural Encounters. Climb the highest mountain in the North East of Uganda and Experience rich cultural heritage with the community. An ancient volcano raises out of the semi-arid planes of Karamoja forming the highest mountain in the region with numerous peaks offering days of adventure. On this 2 day camp and hiking tour we reach one of the summits varying between 2600m and 3000m. The objected summit will be discussed before departure with the tour leader. Experience typical Karimojong pastoral life by sleeping a night with the animals and shepherds in the Kraal. Help bringing the cows to the kraal, share stories around the campfire, play games with the warriors and learn how all about nomadic life. (Read original review on Facebook) It’s a great challenge trying to describe in words the experience I had after spending 3 wonderful days with Kara-Tunga team. 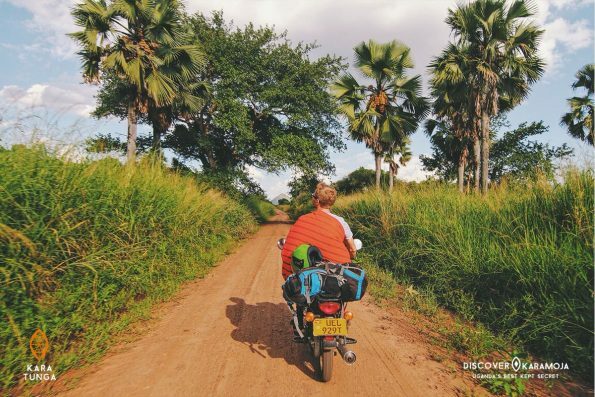 The initial thought “Let’s take a look at Karamoja region” (we had planned to spend maximum 1 day from 10 day trip in Uganda) turned out to be the HIGHLIGHT of it!!! I am happy we decided to stay longer to experience the most authentic culture I have ever seen and it still was not enough to ‘soak it up’ and comprehend fully. 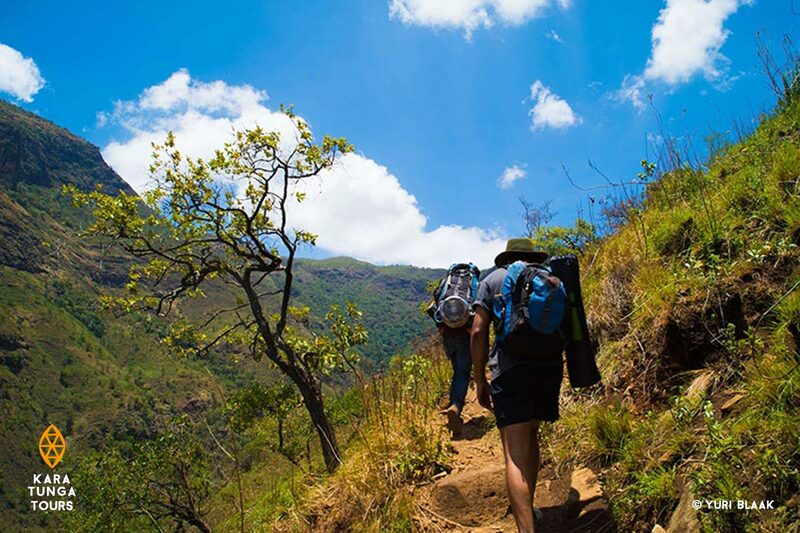 We climbed Mount Moroto (yes, a tough climb but with the most stunning views!) and spent one night there sharing experiences and traditional songs with our wonderful guides. 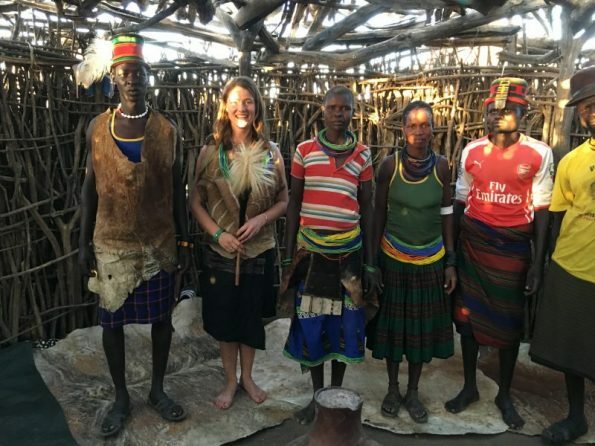 The next day, with the kind assistance from Kara-Tunga, we purchased their traditional clothing and went to the beautiful village of the Bokora tribe!!! I still warmly remember the excitement and joy of the tribe when they saw us wearing their traditional outfits! We spent the very last day driving through beautiful landscapes of Kaabong and visiting Ik people before heading up to Kidepo. Kara-Tunga Team – what a pleasure it was to work with YOU!!!! I never felt it was a guided tour because we were among friends whose extended knowledge and love for their region made it so special!!! You and the work you do is amazing! Keep up your passion, joy and love for your culture! Karamoja is A MUST GO destination and Kara-Tunga is THE TEAM to experience it with!!! (Read original review on Facebook) Wow what an amazing experience we had! With a group we did a mountain hike and visited the Kraal. 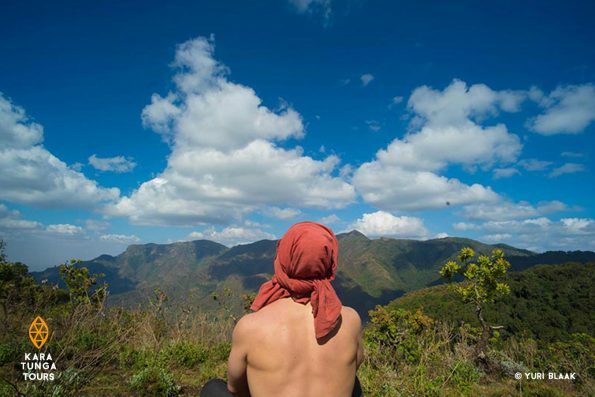 We hiked to the top of the mountain and stayed there for a night. It was a tough walk, but the guides were really supportive. There we celebrated new year. How cool is that! The day after we went back to the guesthouse. The guides were really nice and we had a lot of fun together. 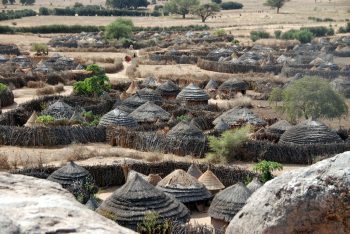 We visited the Kraal in the evening and spend the night there. It was like we were watching TV. We sang songs and danced with them. It was so pure and real. It was amazingly beautiful. Thanks for this experience! We’ll never forget these special days! 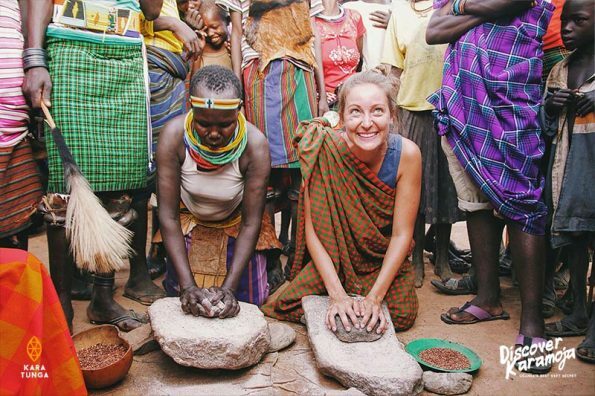 (Read the full story on Yuri’s blog) One of the tours that most appealed to us was climbing one of the many mountain Karamoja has to offer. 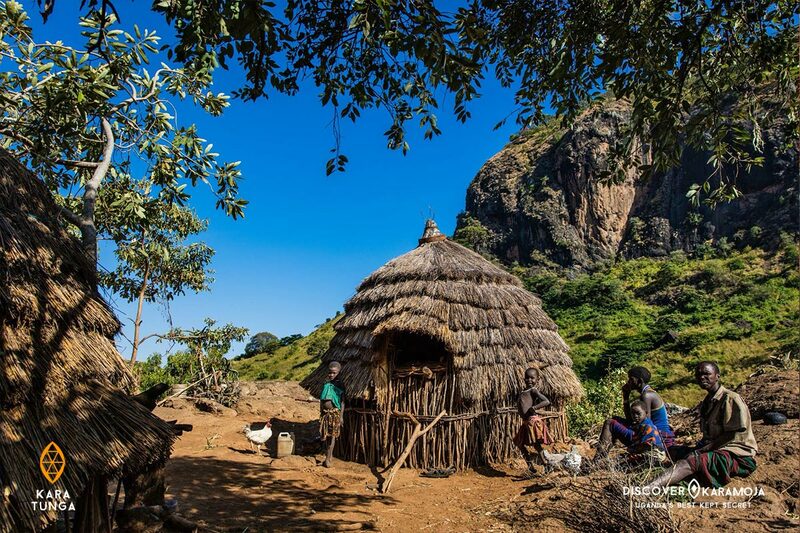 Our choice fell on Mount Moroto, which towers over its environment at a glorious 3,082 meters above sea level and offers impeccable views of Uganda as well as Kenya. It was an incredible hike that gave us all an intense feeling of satisfaction but above all clarity. Visiting Karamoja appealed to us because of the power of it’s people and as such we couldn’t leave without spending some quality time with Kara-Tunga, the people of Karamoja. At around 3PM we left the guesthouse by car and headed towards a village. When we arrived, our guides guided us around a homestead, explaining where people lived and how houses were used to store grain, cattle and relax. Next we proceeded to something that resembled a square where we were greeted with a traditional youth dance. Soon after we were pulled into the celebration, struggling to keep up with the quickly changing dance moves and shifting rhythms. 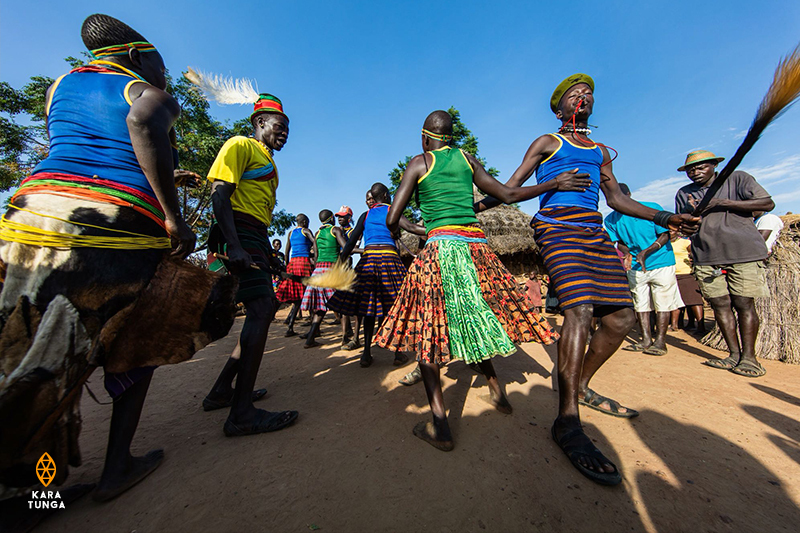 It was our first time to see how the dancing and jumping we had heard so much about strengthened the community and brought pride and joy to all ages of the village. After the sun dipped under the horizon, we proceeded to a different part of the village to properly introduce ourselves to the community. Our guide Peter translated the words of an elder, who welcomed us to the community and wished to learn more about us. 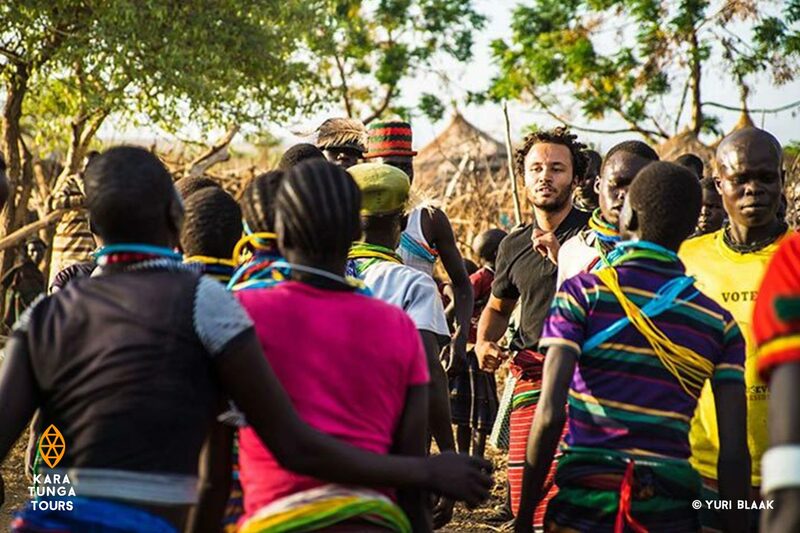 One by one we introduced ourselves, informing dozens of curious eyes who we were, where we were from and how thankful we were to be able to visit the village and learn about their culture.